From a Windows Server, browse to a server with Citrix Provisioning Services installed on it. Notice there are 3 entries that need to be corrected. Click “Yes” To restart the computer. NOTE If you do NOT shrink the partition you will be unable to restore the partition to the smaller Citrix VHD file. This process could be scripted to make it less manual, faster, and less error prone, but because of the frequency we actually do these type of updates, I have just created a manual document for now. I am attempting to disable interrupt coalescing for some testing that we are doing with a latency sensitive application and I have 2 VMWare virtual machines configured as such that work as expected. # esxcli system module parameters set -m e1000e -p "InterruptThrottleRate=0"
Upon powering up the VMWare virtual machines, the per packet latency dropped signficantly and our application was much more responsive. Unfortunately, even with the settings being identical on the VMWare virtual machines and the Citrix PVS image, the PVS image will not disable interrupt coalescing, consistently showing our packets as have higher latency. We built the vDisk image a couple years ago (~2011) and the vDisk now has outdated drivers that I suspect may be the issue. 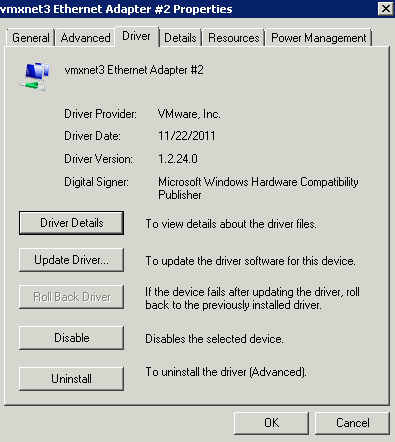 The VMWare machines have a VMNET3 driver from August of 2013 and our PVS vDisk has a VMNET3 driver from March 2011. C:\Users\svc_ctxinstall>dism /image:D:\ /add-driver /driver:"C:\Program Files\VMware\VMware Tools\Drivers\vmxnet3"
But clicking “Update Driver…” updated our production NIC to the newer version. I chose “Search automatically and it found the newer, injected driver. I then rebooted the VM and success! 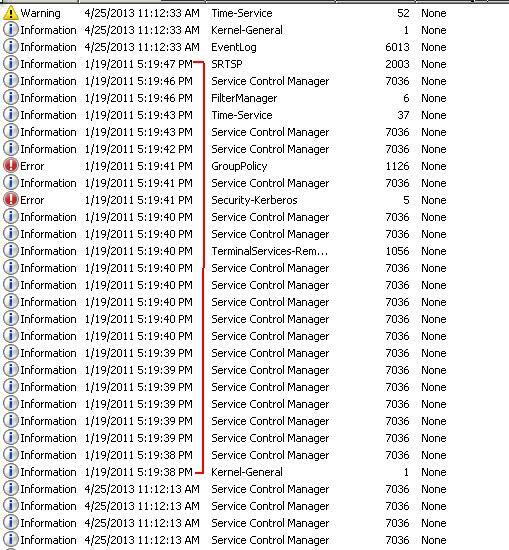 Upon rebooting a server we found the Citrix PVS Console showed the server as down. 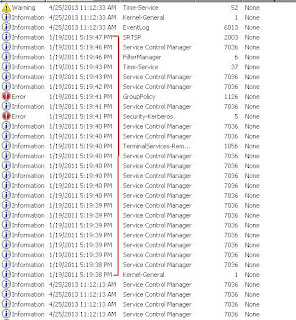 When we investigated the server we found the service was started and their were no errors in the logs that we could see. Restarting the service brought the server as up in the console. 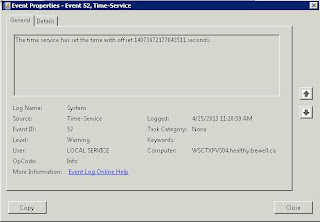 We did see one particular error though, the date was suddenly incorrect in the event viewer. Further investigation showed EventID 52, the time service resync’ed a offset. But the time was still getting offset. 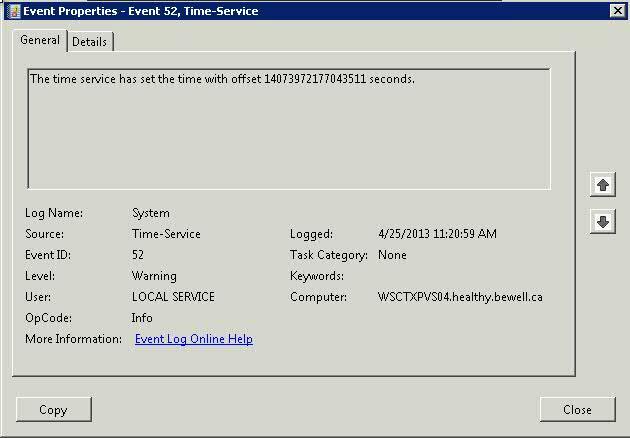 Further investigation showed the VMWare hosts time was not set correctly and the server was having it’s time set to the hosts time; even though the above check box was not set. 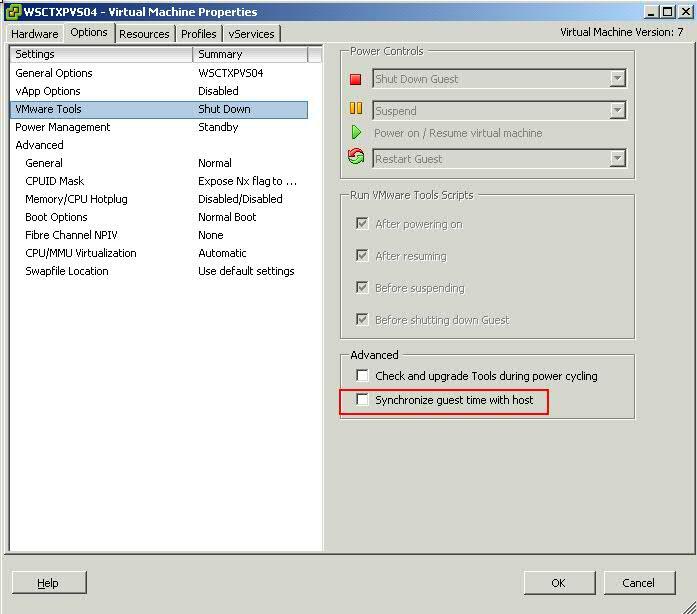 It appears VMWare has additional time synchronization settings that are enabled by default and must be set to explicitly deny to not have the time synchronize from different scenarios. Upon VMWare Tools starting on reboot, a “resume”, or the tools being restarted or other scenarios. 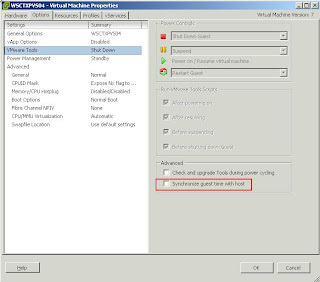 To prevent it from happening you must edit the VMX file and set the values as stated in the kb article above.